Sometimes simple says it best. 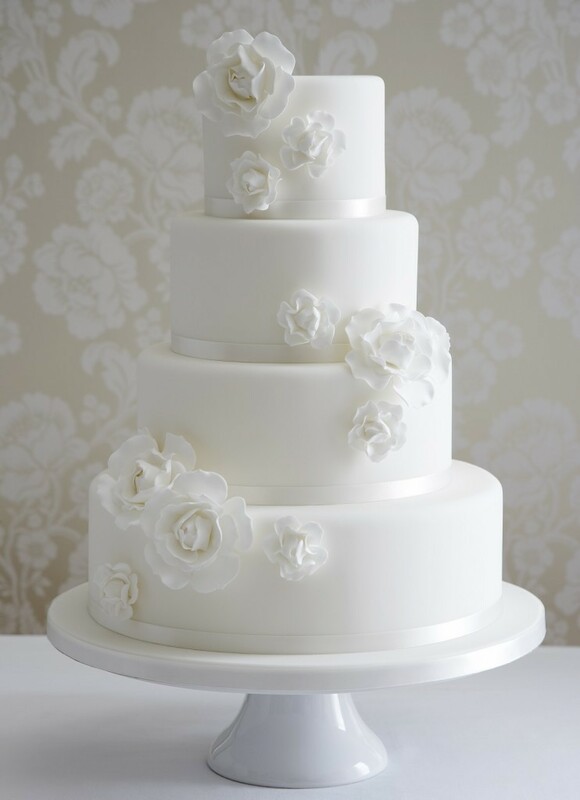 You might choose a simple wedding cake because you prefer a minimalist approach, or because you like you like to stick with the basics when it comes to cake, or even because you are interested in showcasing a particularly fancy flower or cake topper, simple wedding cakes never go out of style. The basic, stacked, white wedding cake, frosted in a smooth coating of buttercream or covered in a snowy blanket of fondant, may hide beautiful flavors and colors beneath its exterior – the best of both worlds. 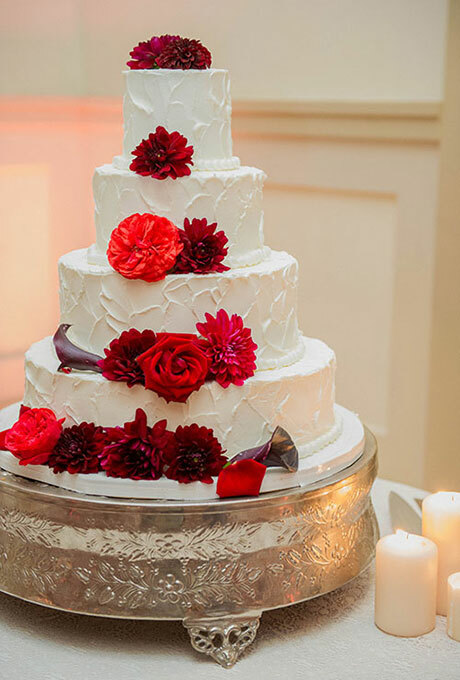 Or maybe you and your groom prefer the traditional “white cake, white frosting” approach – or “chocolate cake, chocolate frosting” – after all, simple doesn’t necessarily mean traditional. 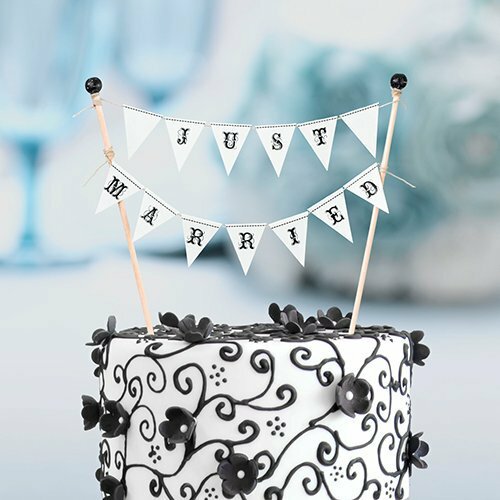 On the other hand, a simple cake may be the perfect way to showcase a special caketopper or flower that has personal meaning for you. A topper that shows your style or a hobby that you and future hubby share becomes all the more visible when it doesn’t need to compete with a fancy cake. 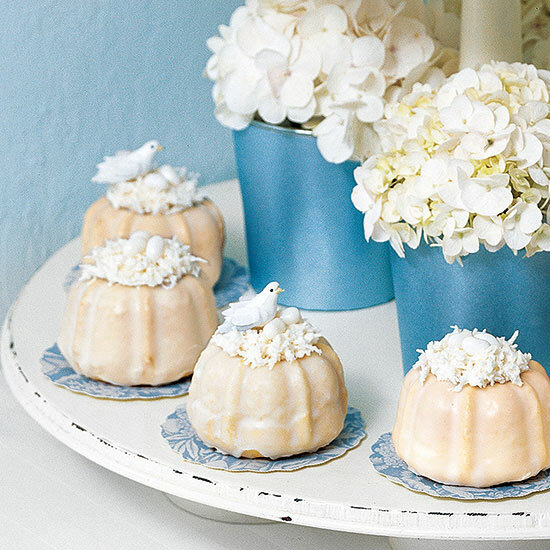 Maybe you have a family heirloom that can nestle atop your cake. Alternatively, some dazzling orchids or floppy peonies may be all the statement that you need to make. A simple cake need not be boring, after all. Having recently celebrated my own wedding anniversary, it’s always fun to think back to my wedding cake. 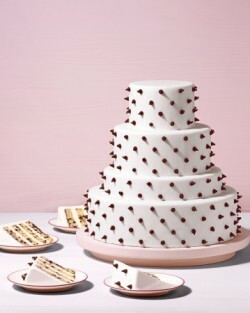 It was eight (yes, EIGHT) tiers of heart-shaped cakes. It was massive. But it fit my wedding theme – which was hearts. Everything was hearts. 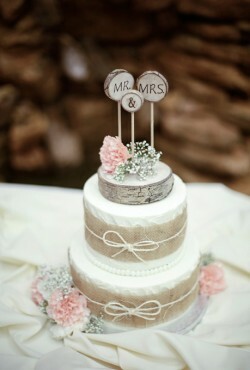 I like a cake that fits in to a wedding theme or incorporates something from the wedding. There’s a chill in the air and we’re all looking to cover up in sweaters and jackets as the days turn cooler. 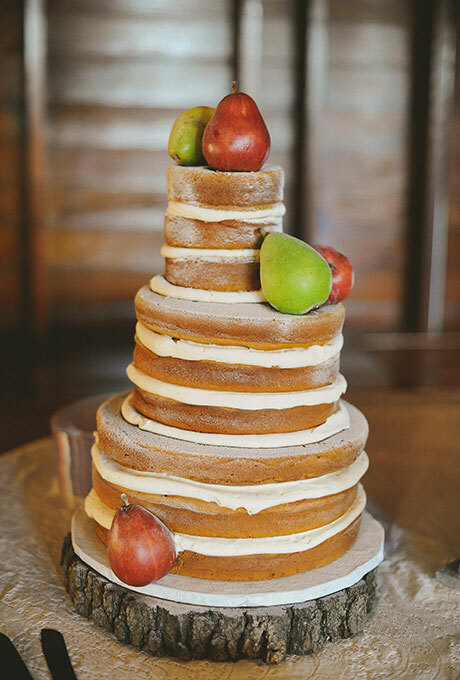 So, it seems like a perfect time to showcase a naked cake, right? Of course it does! Naked wedding cakes are still somewhat of the rage and I’ll admit that I have found a few that look amazing. But I’m still a frosting kind of girl, so as pretty as these cakes are I prefer more icing. It’s finally here! Today is the first official day of fall. And despite the on-going warmer temperatures, the leaves are starting to change and the nights are getting cooler. Which means it’s time to talk about wedding cakes that are inspired by fall – especially those inspired by fall colors. If there’s one sweet treat I can never resist it’s chocolate chip cookies. Hot out of the oven, dunked in a glass of ice cold milk…it’s the best snack ever. I woke up this morning to very chilly fall-like temperatures and the reality that fall really is just around the corner. 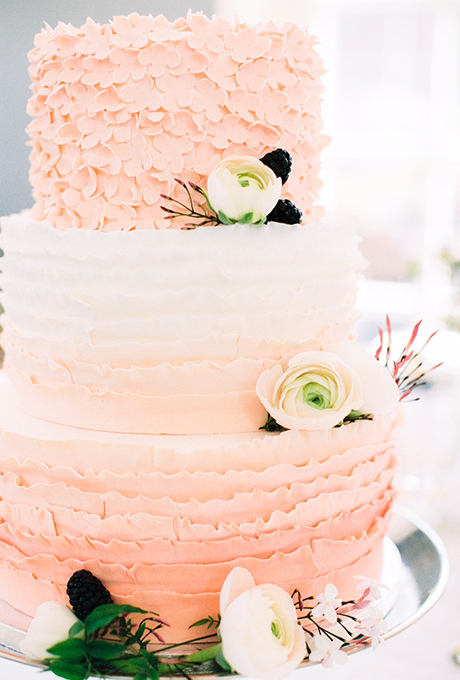 So what better time to start talking about fall wedding cake, right? I love the idea of having a rustic fall wedding – especially if it’s still warm enough outside to host an outdoor reception. So now that we’ve “officially” said goodbye to summer, it’s time to start thinking about fall. More specifically it’s time to start thinking about ideas for fall wedding cakes. I was at a friend’s wedding recently and her cake topper was a simple yet elegant banner. It’s no secret that I love cake. Especially wedding cake. 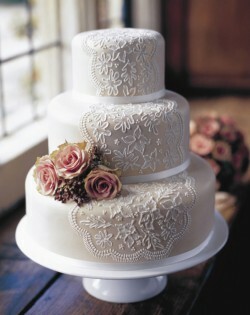 There’s just something extra special about wedding cake that makes it taste better than your average every day cake. So how amazing would it be if you could serve your guests their own wedding cake? We’ve featured a lot of very bright and vibrant wedding cakes on this blog, but sometimes it’s nice to get back to basics. And today that means an all-white wedding cake creation. This all-white cake would work in all seasons and with any color scheme making it versatile and very elegant. Sure the calendar says it is only the middle of August but we all know that fall is right around the corner. 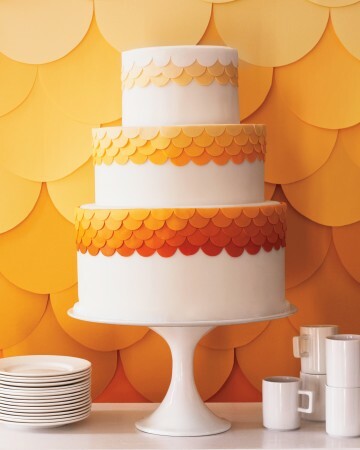 However, I’m still clinging to summer with all my might, which means we’re still going to talk about summer wedding cakes. Just like today’s beautiful pink and white creation.